I can hardly believe that it’s September already. Other than the sun setting unexpectedly early, the weather continues warm and sunny, and autumn still seems a long way off. In addition, August seems to have disappeared without trace, although I’m sure that our various holidays are to blame for that, so I can’t really complain too much! In addition to our Berkshires weekend and roadtrip up to Maine, my parents visited us for a week, providing another great excuse to take some time off and play tourist. 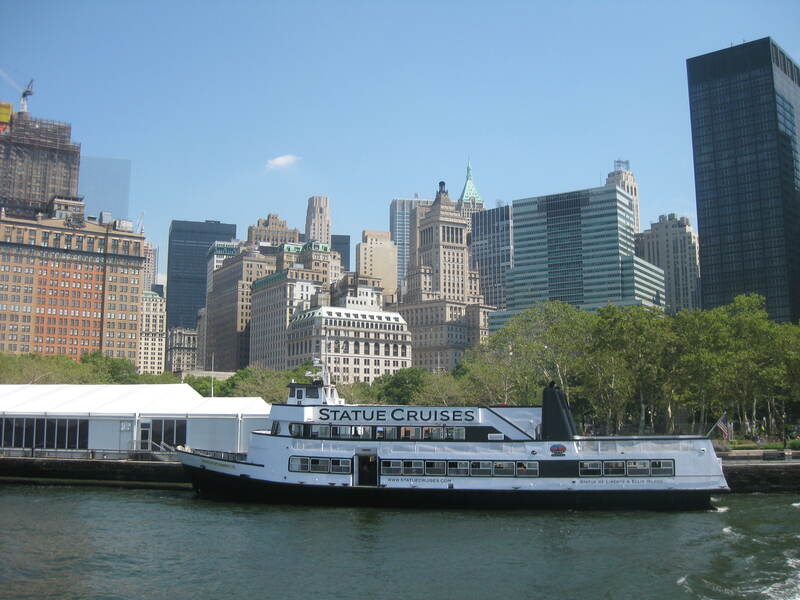 Anyway, one of the suggestions for this trip was a visit to Ellis Island and the Statue of Liberty, so one morning we headed down to catch the ferry by way of the World Trade Center complex. 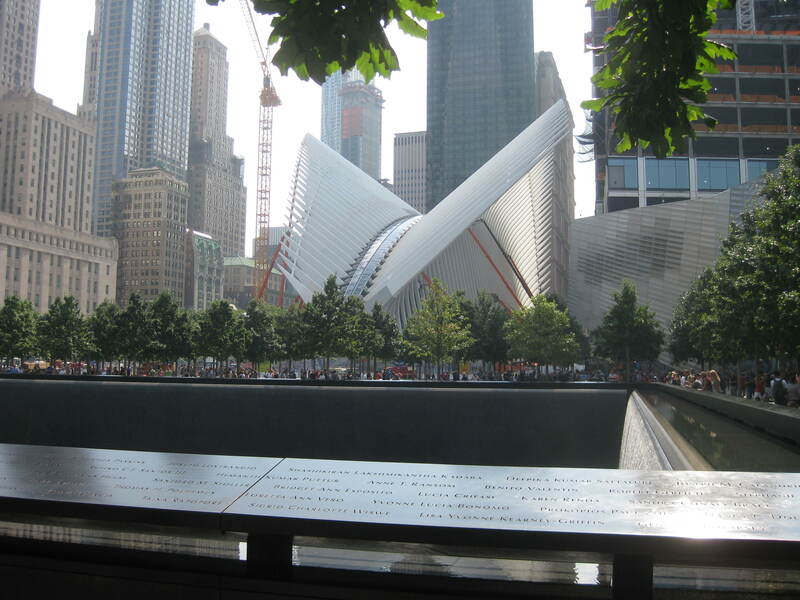 It has been over two years since I last visited the 911 memorial site (although in that time I’ve been to meetings in both #1 and #7 WTC so have seen some fantastic views of it from above), and I think its combination of a respectful and powerful memorial with a really lovely public space is quite wonderful. It was also interesting to see how the surrounding architecture has changed over the last couple of years, with the new towers now finished and the transport hub well on the way to completion. Lower Manhattan always looks ridiculously photogenic from the water, and today was no exception. It was quite a humid morning, so being out on the water was especially pleasant, and I think we all felt that the boat trip was at least as enjoyable as the sites themselves! 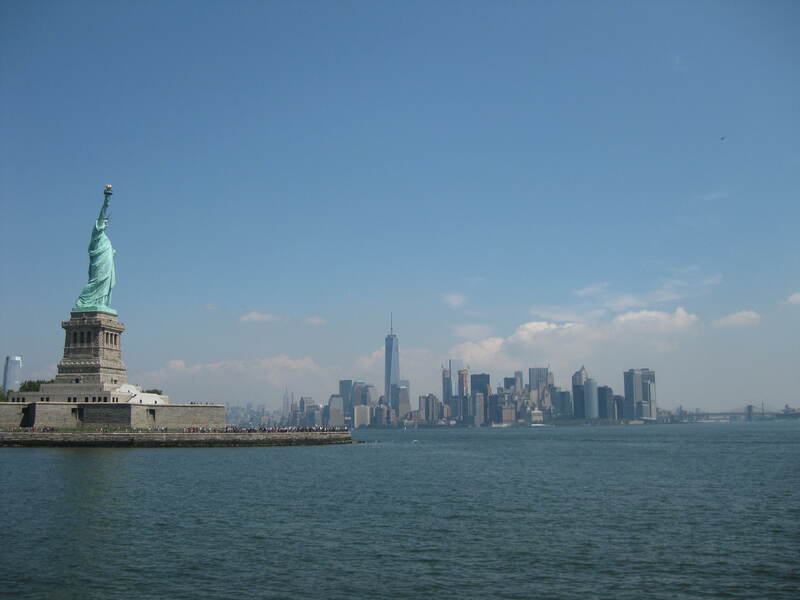 We decided not to get off at Liberty Island, but took advantage of our excellent spot at the side of the boat to appreciate the views of statue and city. 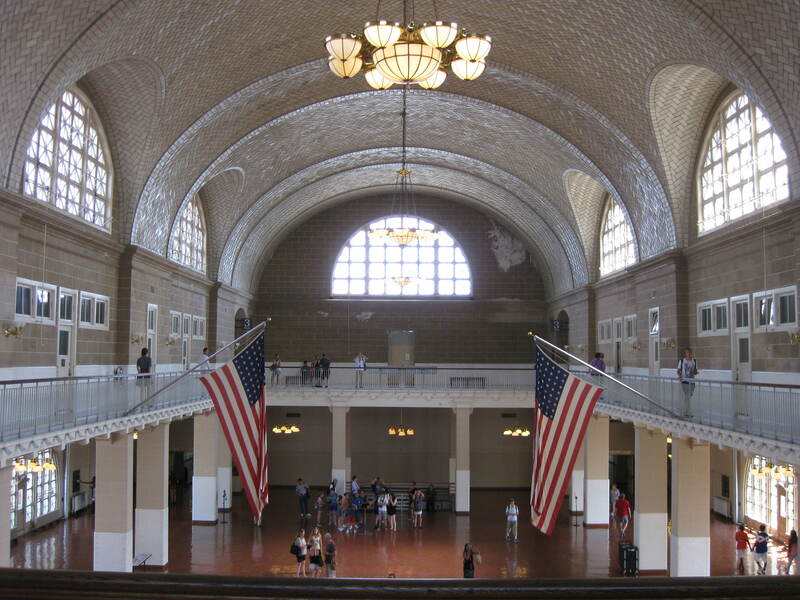 My last visit to Ellis Island was about 10 years ago and I must admit that, apart from the iconic main hall, I don’t really remember much about it. The only exhibit that made a lasting impression on me was a display of personal items which various immigrants had brought with them – of course these had to be small and easily portable, and I remember that the assorted childrens’ toys, little ornaments, jewellery, framed photographs and the like provided a powerful connection to the people who had brought them across the ocean. Ellis Island was badly affected by Hurricane Sandy back in 2012, and whilst the buildings and wall-mounted displays are all back to normal, the artefacts are all still away in storage. So whilst our visit was still both enjoyable and informative, it was missing that evocative element that the artefacts provide so well, and I hope they come back soon. 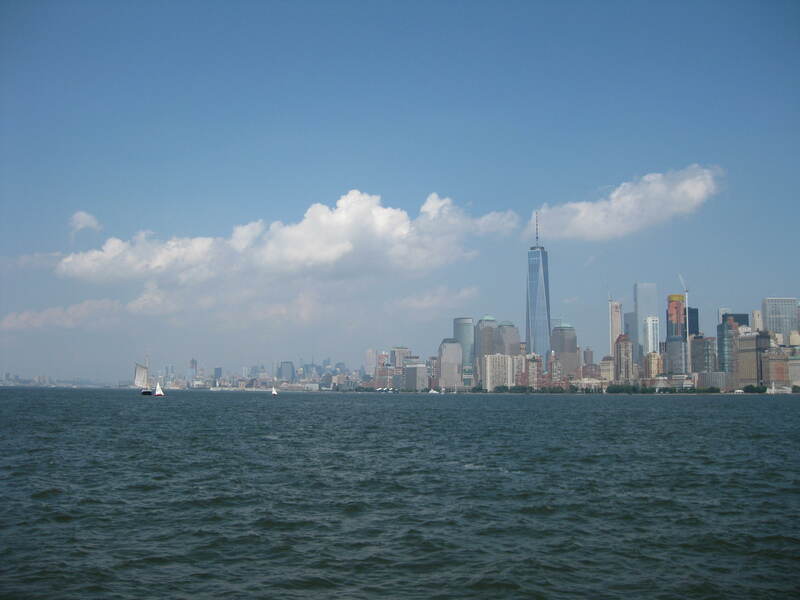 This entry was posted in Exploring and tagged Ellis Island, Elysian Cafe, gluten free food, history, Hoboken, Margherita's restaurant, Statue of Liberty, World Trade Center by Emma Davidson. Bookmark the permalink.